The ARKOCAPS ROSEMARY, dietary supplement improves digestion and detoxifying functions of the body. Rosemary is a small shrub that grows in Mediterranean regions on calcareous soils. In herbal medicine, essential oil extracted from its leaves is used. Rosemary promotes the proper functioning of the gallbladder. 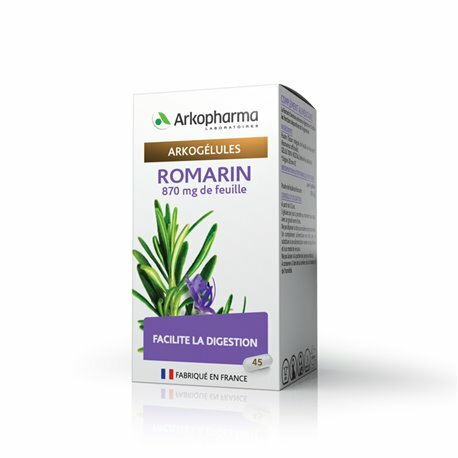 It calms digestive spasms due to its antispasmodic action. During the meal, take 1 capsule morning, noon and evening with a large glass of water.